Luis Santaló Winter Schools are organized yearly by the Mathematics Department and the Santaló Mathematical Research Institute of the School of Exact and Natural Sciences of the University of Buenos Aires (FCEN). 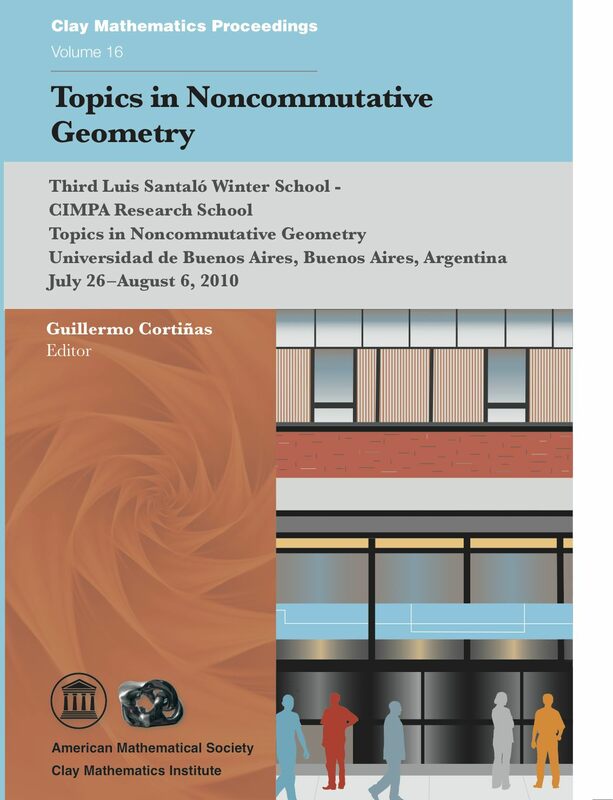 This volume contains the procedings of the third Luis Santaló Winter School which was devoted to noncommutative geometry and held at FCEN July 26 - August 6, 2010. Topics in this volume concern noncommutative geometry in a broad sense, encompassing various mathematical and physical theories that incorporate geometric ideas to the study of noncommutative phenomena. It explores connections with several areas, including algebra, analysis, geometry, topology and mathematical physics. Bursztyn and Waldmann discuss the classification of star products of Poisson structures up to Morita equivalence. Tsygan explains the connections between Kontsevich's formality theorem, noncommutative calculus, operads and index theory. Hoefel presents a concrete elementary construction in operad theory. Meyer introduces the subject of C*-algebraic crossed products. Rosenberg introduces Kasparov's KK-theory and noncommutative tori and includes a discussion of the Baum-Connes conjecture for K-theory of crossed products, among other topics. Lafont, Ortiz, and Sánchez-García carry out a concrete computation in connection with the Baum-Connes conjecture. Zuk presents some remarkable groups produced by finite automata. Mesland discusses spectral triples and the Kasparov product in KK-theory. Trinchero explores the connections between Connes' noncommutative geometry and quantum field theory. Karoubi demonstrates a construction of twisted K-theory by means of twisted bundles. Tabuada surveys the theory of noncummutative motives.